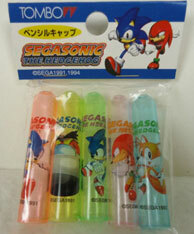 Even more random Sonic the Hedgehog things from Japan. This is a catch-all for items that there arn't quite enough of to have their own dedicated page yet. Watch for things on this page to be moved in the future though, as the collection of stuff builds up. 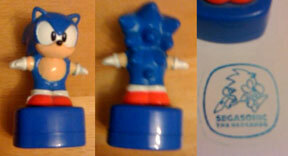 But, you know if it's from Japan, it's got to be an interesting look! This is an interesting item with some cool trivia too! This was described as a "Card" but what kind of a card is it? 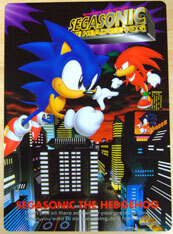 It's got Sonic & Knuckles leaping over a cityscape, and is obvoiusly an early item, judging by the "SegaSonic" branding that it has. 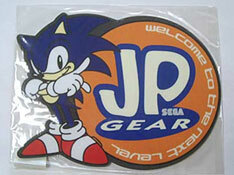 (This Segasonic branding was dropped soon after S&K) The pink lettering at the top says "Speed & Style. All right!" while the bottom has the 'don't waste your precious time' quote. Do write in if you know what this thing is for! 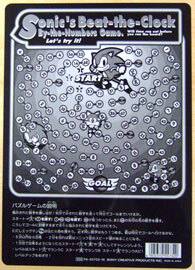 This is a "Sonic's Beat the Clock By The Numbers Game" It's some sort of math puzzle, & the caption says "Let's try it!" 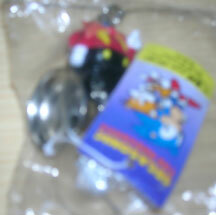 , but the instructions are all in Japanese so you can't read them. The only other thing it says is "Can you reach the goal in time". Since it's in black/white, is it the back of something? A package? Write in if you know what this is for. 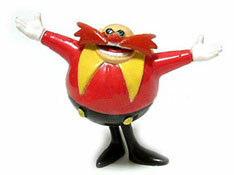 Here's an interesting Eggman figure item. Here are 2 partial shots of what looks like it could be a page from a magazine or possibly a catalog in Japan. 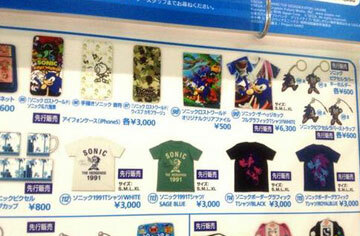 You can see various items that are Sonic themed, but you can't really tell what everything is. 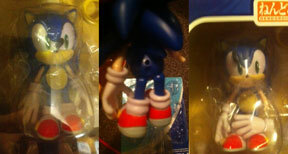 (notice there's a bit of overlap) What's that yellow thing with the handle on top (Sonic/Amy)? Is it a tote What are the blue squares? 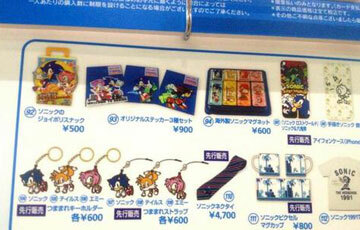 The colored tiles are the magnet set from the USA (most likely) The rectangles appear to be phone cases. This deck of playing cards is likely rare. 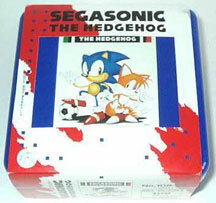 As you can see here, it's an early item, due to the "Segasonic" name/branding, which they phased out of use forever in the mid 1990s or so. This deck is still in the original clear plastic package (though it came in a plastic hard case, originally) What do each of the cards look like? Are they all di fferent, featuring screen shots like the ones seen here? Write in if you know! 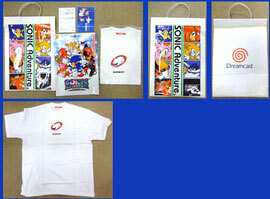 A Green Hill screen shot has some seldom-seen Sonic art on it (is it a 'cover card' or are all card backs like that one?) 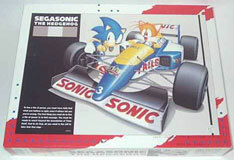 The art shows Sonic looking at a racing helmet. It is originally from the Sonic screen saver / Sonic wallpaper set (image 51) which was done by a Japanese artist with a very specific style. 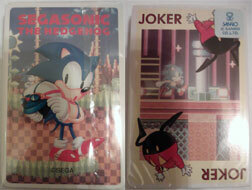 The Joker card is revealed on the bottom, it shows Spring Yard, but has ordinary 'running Eggman' stock art placed over it. As you can see with the sticker, this was made by Sanrio (yes the Hello Kitty people make cards too) & "Angel Playing Card Company of Osaka Japan". An interesting deck! Photo & owned by: Conner M.